Do you play this? 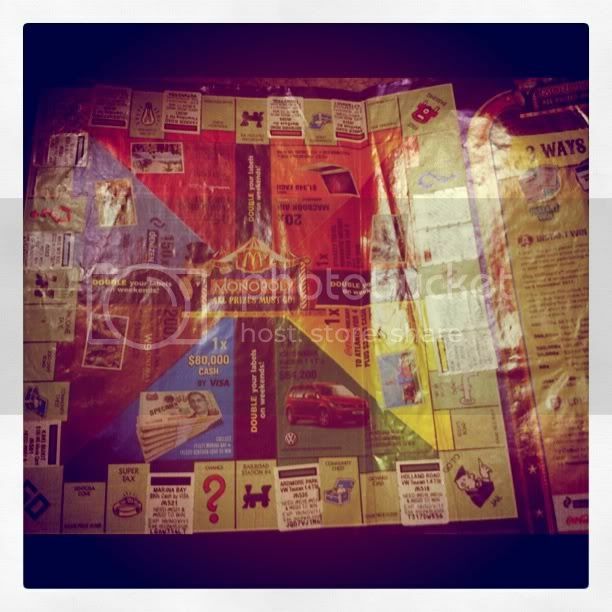 The prizes are so attractive and is a pity if you don't join into the Monopoly fun! I have collected most of the stickers, and I hope I will win something! I am into it since the start of the month, as you can tell, my monopoly paper looks really bad from the pic below hurhur... My tuitee has been nice, helping me to collect the stickers from his classmates. Ah ha, I paste it like a kid who just receive her new stickers and playing with her stickers book. Well, I know simple things like that make me happy so whether I win or not, it doesn't matter. I know I am enjoying the Monopoly game. All prizes must go ! Yes! 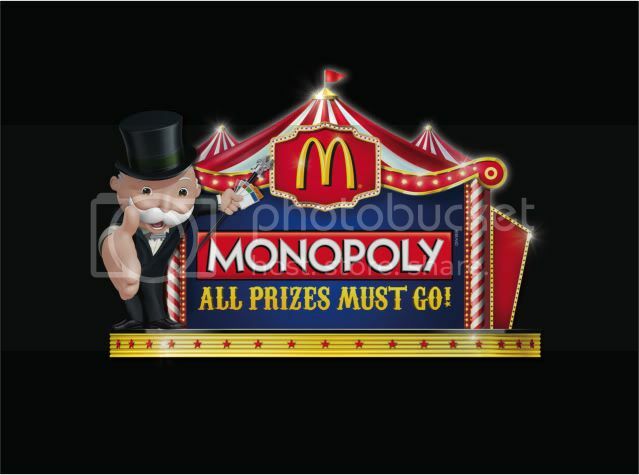 Monopoly is back at McDonald’s with over 3 million prizes to be won. Get your game labels with any Extra Value Meal purchase to win. 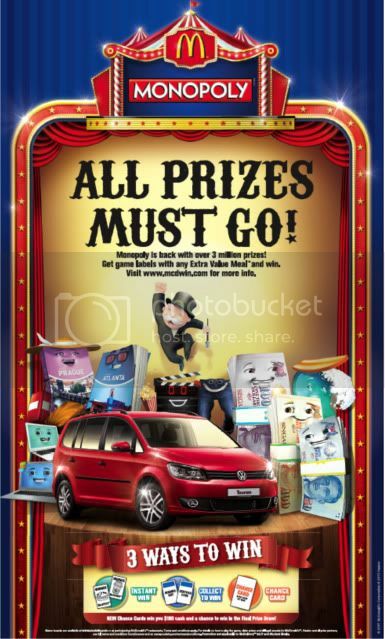 With over 3 millions prizes be won including (1) $80,000 cash from Visa (2) Volkswagen Touran (3) A trip to Atlanta from Coca Cola and (4) A trip to Prague from Dynasty Travel plus many more There are 3 ways to win in 2011 (1) Collect to win (2) Instant Win and (3) Chance Card all prizes must go.The new Chance card also wins you $100 instantly and a final entry into the draw to win any unclaimed prizes. Double labels on weekends also means you receive double the labels with any EVM purchased over the weekend period. All prizes must go!